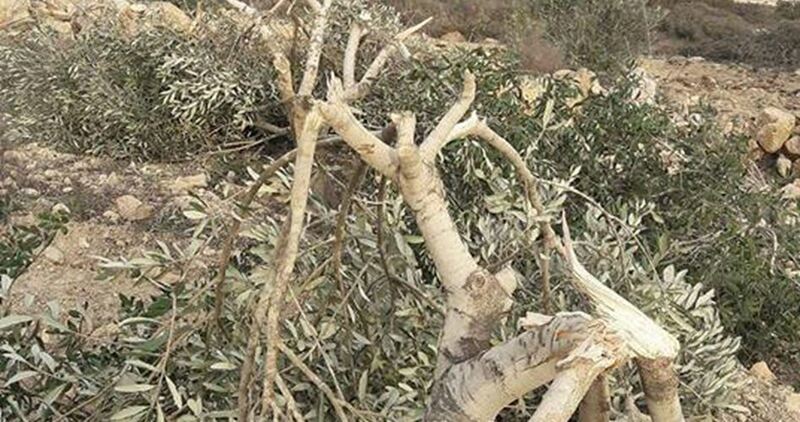 Israeli settlers from the illegal settlement of Yitzhar, to the south of Nablus city in the northern West Bank, on Thursday cut down about 20 olive trees in Madama town to the south of the city. 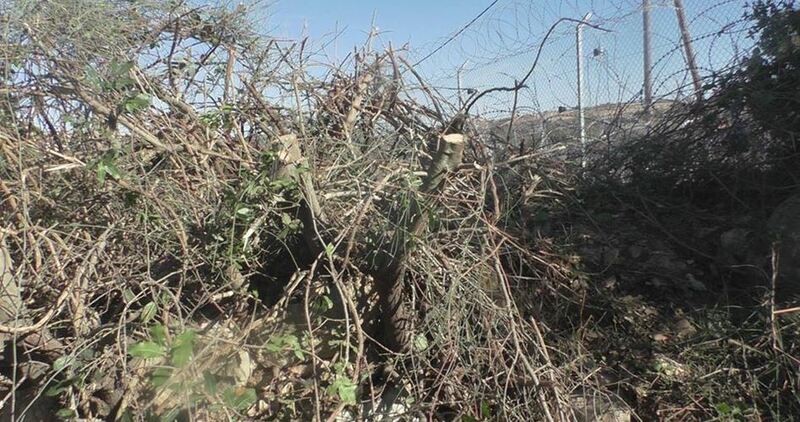 Head of Madama local council, Ihab Qet, said that over 10 settlers broke into the land that belongs to Abdurrahman Nassar and cut about 20 trees. 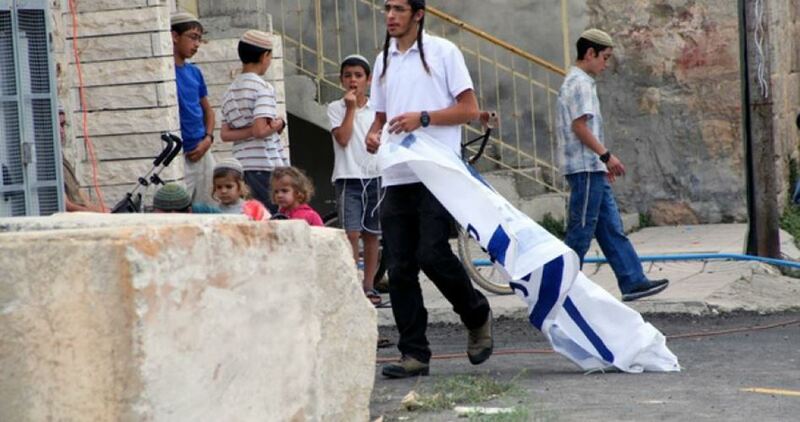 The extremist settlers also ruined an agricultural water well owned by Idris Qet, he added. Groups of Jewish fanatic settlers of Kiryat Arba settlement on Sunday cut fruitful trees of almonds, olives and peaches in Palestinian lands near Beit Ummar town north of al-Khalil. The PIC reporter said that the land owners tried to confront the settlers and ban them from cutting their trees, but they had to retreat under threat of being shot right in their farms. 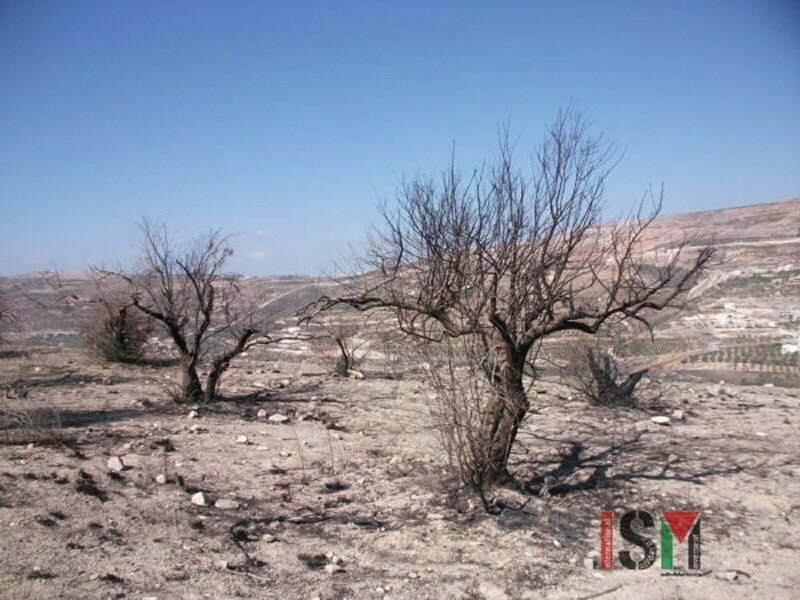 The trees that were attacked by extremist settlers are owned by Palestinian families of Adi, Awad, Ebraigheth and Abu Ayyash, the reporter pointed out. 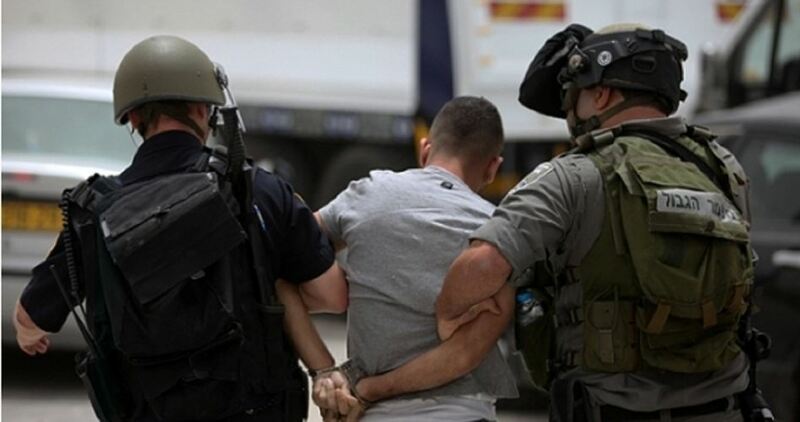 10 Palestinian farmers, including a child, were kidnapped by the Israeli occupation forces on Thursday evening from al-Khalil’s southern town of Yatta, in the southern West Bank. 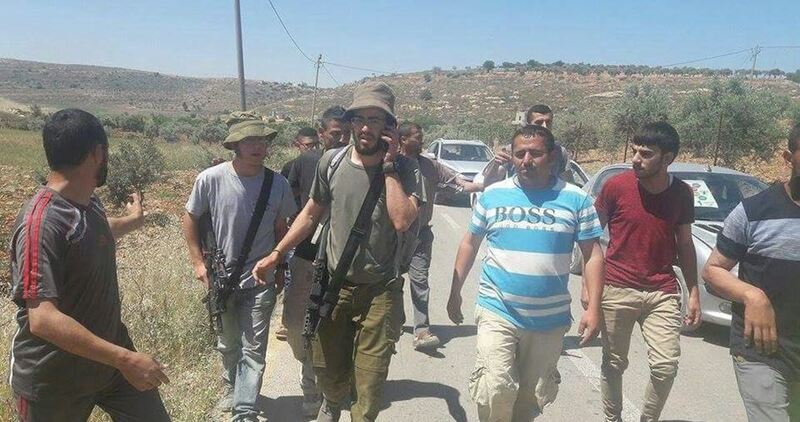 Coordinator for the National Anti-Settlement Committee in Yatta, Rateb al-Jabour, said the occupation army kidnapped 10 Palestinian farmers from their ranches in Tel Ma’in, in Yatta. The farmers are from the Jibreen family. Israeli soldiers reportedly attacked the farmers while they were planting olive trees in their land tracts. The list of arrestees included 15-year-old minor Yasser Jibreen and 60-year-old Ali Youssef Jibreen. Earlier in the day, 48-year-old Mahmoud Oudeh was shot and killed by extremist Israeli settlers in Nablus’s southern town of Qasra after Israeli terrorists targeted Palestinian farmers with randomly-discharged gunfire. A group of Israeli settlers attacked a Palestinian farmer and his wife while they were picking olives on their private land south of Nablus in the northern occupied West Bank on Wednesday. The local Palestinian official who monitors settlement-related activities in the northern West Bank, Ghassan Daghlas, reported that a number of settlers attacked Tayseer Sabah, 50, and his wife while they were picking olives on their land in the outskirts of the village of Urif, which is just a few kilometers away from Yitzhar settlement. The farmer suffered different injuries all over his body, while his wife suffered bruises. Following the attack, violent clashes broke out between local residents and Israeli settlers, who were protected by Israeli soldiers. According to Daghlas, the attack came on the first day of the olive harvest season this year in the area. Violent acts carried out by Israeli settlers often occur in the presence of Israeli forces who rarely act to protect Palestinian residents. The majority of settlers' attacks committed against Palestinians are met with impunity, as those settlers rarely face consequences for such attacks. 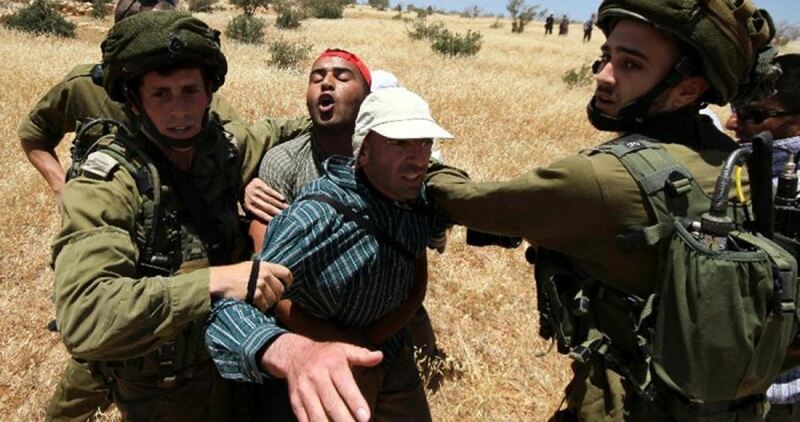 Extremist Israeli settlers have stepped up assaults against Palestinian farmers across Hawara’s olive groves, south of the occupied West Bank province of Nablus. 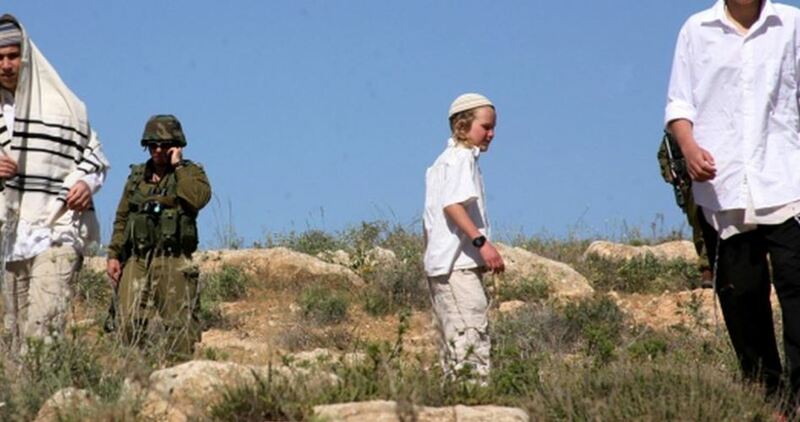 Head of the West Bank department at Rabbis for Human Rights, Zakaria Sadah, said dozens of Israeli settlers violently attacked Palestinian farmers on Monday evening while they were picking olives in their groves northwest of Hawara town. The Israeli army forced the Palestinians out of their farmlands after they ruled that all olive-picking activities in the area be immediately halted. 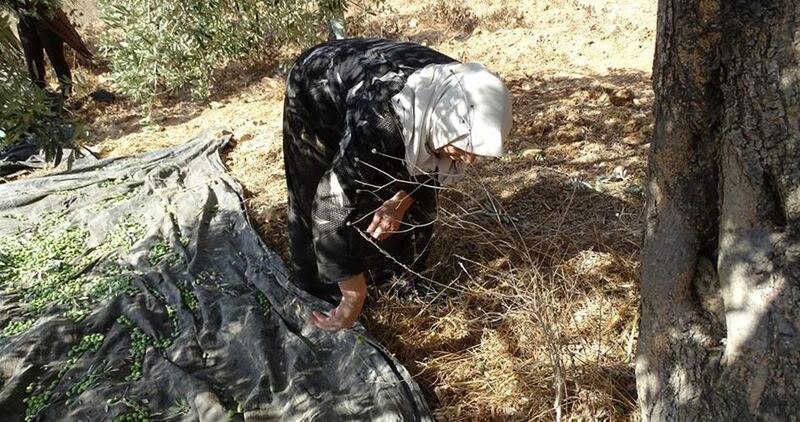 Palestinian local Monawar Abu Zaher sounded the alarm over the heavy damage wrought by such Israeli assaults on Palestinians’ olive harvest, adding that thousands of olive trees have not received proper care for over ten years and are, thus, on the verge of collapse. Israeli settlers on Sunday morning prevented Palestinian farmers from picking their olive harvest in Nablus’s southern town of Hawara, in the northern occupied West Bank. Palestinians living in Hawara headed to their land lots near Israel’s illegal settlement of Yitzhar, built on Palestinian lands south of Nablus, before they were attacked by a horde of extremist Israeli settlers, Hawara Mayor, Nasser Hawari, told PIC. Israeli army troops showed up in the area shortly afterwards and forced Palestinian olive pickers out of their olive groves. 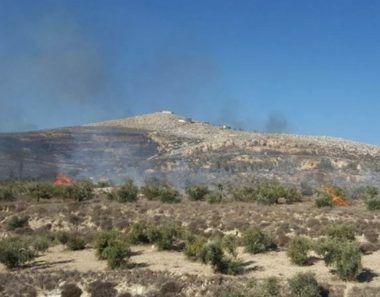 The Israeli settlers assaulted the farmers in the presence of the occupation soldiers and set fire to Palestinian lands, causing damage to the olive harvest. The Israeli occupation forces on Sunday morning prevented Palestinian farmers from reaching their cultivated land tracts in Nablus’s southern town of Qaryout. Speaking with a PIC news correspondent, activist Bashar al-Qaryouti said the occupation soldiers forced Palestinian farmers out of their lands in al-Khawaneg area, adjacent to Eli settlement outpost, and prevented them from picking olives. The occupation soldiers subjected the farmers to exhaustive inspection under the security pretext. The Israeli forces also banned all members of the slain Palestinian activist Mohamed Zaghlawan from entering their farmlands, without prior notifications.